Fiction Friday is the fabulous new brainchild of the dashing @homedad. I was a bit slow on the uptake last week and missed FF#1, but have managed to get my act together and join in this week, WHOOP. So, here is my entry. 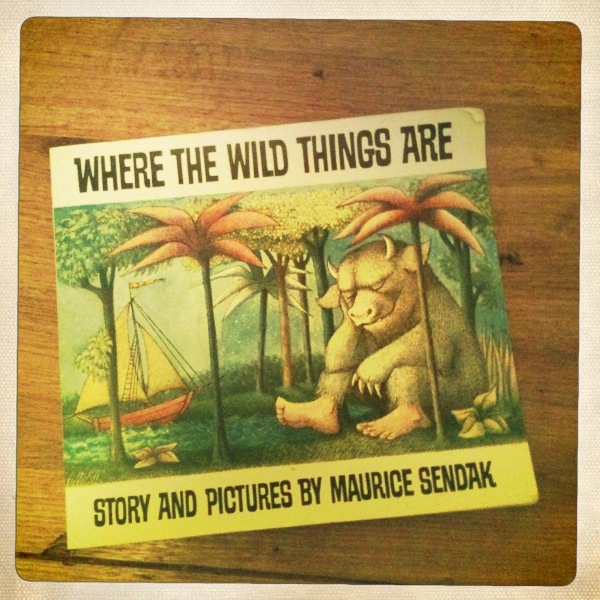 Where the Wild Things Are, Maurice Sendak. The night Max wore his wolf suit and made mischief of one kind, and another, his mother called him “WILD THING!” and Max said “I”LL EAT YOU UP!” so he was sent to bed without eating anything. To check out all of this weeks entries head on over to @homedad via the magic button. He has gone all Italian Mobster on us this week…WITWOO! « Let them eat cake…or just a boatload of Petits Filous? Good choice! E loves this one and I remember it from when I was little. Often leads to wild rumpusing before bed. Rumpus rumpus rumpus rumpus rumpus rumpus rumpus….best bit!